Jaipur: In Rajasthan, the state government has started clamping on government medical practitioners who have been on strike for the last five days. Media reports state the police has started making arrests of the striking doctors, arresting 7 medical practitioners under Rajasthan Essential Services Maintenance Act ( RESMA ) till now. “We are zeroing in on top leaders of the All Rajasthan In-Service Doctors’ Association, most importantly Dr Ajay Choudhary, who is presently the chief medical and health officer (CMHO) in Churu district and the main instigator,” an official told TOI. Most arrests are being made under RESMA. Local police are also counselling the doctors asking them to report to work. Medical Dialogues team had earlier reported that the Rajashtan High court had directed the state government to send a notice personally asking them to return to work adding that if the doctors do not return to work even after this, then it shall be considered as contempt of court. 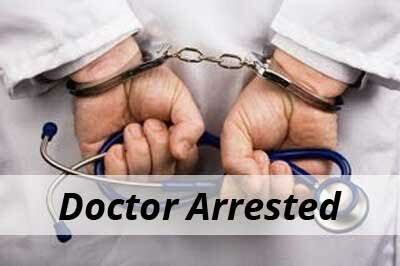 Govt should take strict action against such doctors who strike over patient\’s suffering. I am a medical student and i am glad that i am becoming a doctor. I atleast wont have my child die outside hospital waiting for a doctor. Shame on such doctors.. However WRong the bill is.. Doctors who strike and block roads and ambulances.. should be lati charged..
As if doctors have done heinous crime they are arrested shame on govt. when their demands are not met ,govt. is not listening ,what is the other way left for them ?